(LANSING, Mich)— Gov. Rick Snyder signed House Bill 4667 and Senate Bill 440 — sponsored by Rep. Brandt Iden and Sen. Goeff Hansen — which will change the name of the Michigan Grape and Wine Industry Council to the Michigan Craft Beverage Council. The bills also will expand the council to include Michigan wine, beer, hard cider and spirits. The bills are now Public Acts 154 and 155 of 2018. 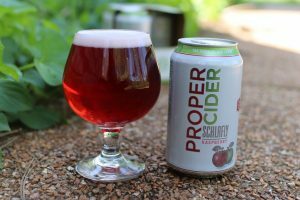 (ST. LOUIS; May 23, 2018)—Schlafly Beer announces plans to release a year-round canned cider across their distribution footprint with Proper Cider Raspberry. The largest, locally owned brewery in St. Louis has been making cider for over 15 years now in its brewpubs, but this will be the first can package for full, year-round distribution, starting this summer. This 6.8% old-fashioned hard cider is both semi-sweet and tart and pours a vibrant crimson from the real raspberries. This will also be the first time Schlafly will be able to offer a certified gluten-free product in the market. 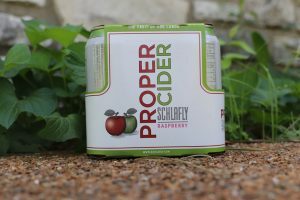 The 4-packs of Schlafly’s Proper Cider Raspberry will be available starting in mid-June, but cider fans can get a first taste at Schlafly’s Art Outside Festival this weekend, on Friday May 25 through Sunday, May 27. The suggested retail price for the 4-pack is $8. For more on Schlafly Beer’s distribution, visit http://www.schlafly.com/beer-finder/. Freeport, Maine – (May 22, 2018) Maine Beer Company of Freeport, Maine, announces their expansion into Indiana with distributing partner Cavalier Distributing. Maine Beer Company’s highly sought-after IPAs and other styles are now available for limited distribution throughout the state. Maine Beer Company will be offering Peeper Pale Ale and Woods & Waters IPA on draught in Indiana. Peeper Pale Ale (5.5% ABV) is the first beer that Maine brewed, beginning in 2009 on a one-barrel system. It has notes of light citrus, raspberry, and blackberry with subtle pine and light breadiness attributes. Woods & Waters IPA was originally brewed to commemorate the establishment of the Katahdin Woods and Waters National Monument, and features Maine-grown barley and wheat, and generous amounts hops featuring flavors and aromas reminiscent of the outdoors. Lunch IPA and MO Pale Ale will be available in package. Lunch IPA, with notes of tropical and citrus fruit, pine, and subtle malt sweetness, is one of the most sought-after and highly rated beers. It was named after a finback whale spotted off the coast of Maine that looked like she had a bite out of her dorsal fin. MO Pale Ale (6% ABV) is a pale ale with notes of citrus, passion fruit, pine, and slight malt sweetness. 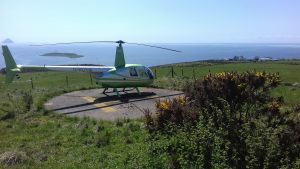 Launch events are happening through the state this week and next. Hunter’s Brewing – 4 p.m.
Sixth Street Dive – 5 p.m.
For all events, visit cavbeer.com/events.